The first-ever regional centre set up to fight transnational crime in Asean and share information could be up and running by next year. A growing number of Taiwanese online firms are choosing Singapore as their base to expand into South-east Asia as Taiwan and its regional rivals compete to snap up talent and become a tech hub. The Philippine Information Agency (PIA) in Western Visayas launched its information kiosks for the Association of Southeast Asian Nations (Asean) in the city and province of Iloilo, Saturday, March 4. ​If 2016 is marred by ‘Brexit’ and the unexpected election of Donald Trump as the US president, then 2017 will be the year we will witness the developments or even the outcomes of these events. Benchmarking Asean export drivers: How is PH faring? Export is a vital cog of development. The country needs foreign exchange to fund imports from food to machinery to raw materials to oil. It has to pay foreign debt and finance Filipino travelers. 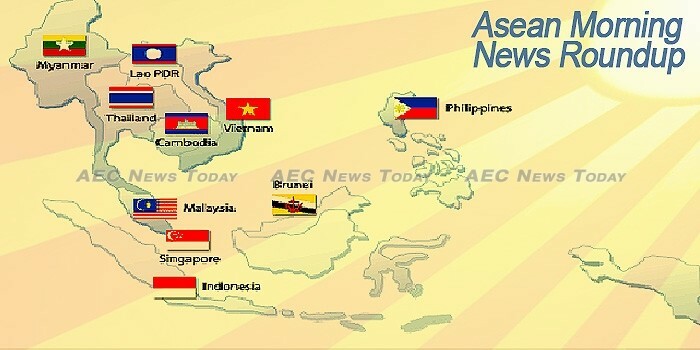 The Russian Defense Ministry announced on Friday that countries from The Association of Southeast Asian Nations (ASEAN) will boost military cooperation in the Asia-Pacific region. The Khmer Ventures Property Fund is the first fund to invest exclusively in Cambodian real estate. Micro-Credit Ratings International Ltd (M-CRIL), an Indian provider of rating and advisory services to the microfinance industry, has secured a $1.5 million equity investment agreement from the Asian Development Bank (ADB) to push into emerging markets including Cambodia, the ADB said in an announcement last Friday. Less than two weeks into a state-mandated campaign to blanket mobile phone users with audio and text messages about microfinance institutions (MFIs), many are already tired of the government’s broken-record approach. With the release of her film First They Killed My Father on the horizon, Angelina Jolie hopes that by shedding light on the genocide in Cambodia under the Khmer Rouge communist party’s regime, the Cambodian people will take pride in what they survived instead of feeling hatred or resentment for what the country endured in the late 1970s. Japan’s Hitachi Ltd has officially entered into a joint venture partnership with the local construction company CMED Group Co Ltd, aimed at expanding its sales, installation and maintenance services for elevators and escalators throughout the Kingdom, the company announced on Friday. The opposition Cambodia National Rescue Party has selected its former deputy leader, Kem Sokha, to assume the presidency following the departure of Sam Rainsy last month. The Phnom Penh Municipal Court on Wednesday opened proceedings against the alleged killer of prominent political commentator Kem Ley, who was fatally shot in Phnom Penh in July. Almost two years after the government announced the relocation of the Royal University of Fine Arts (RUFA) from central Phnom Penh to the city outskirts, Prime Minister Hun Sen finally announced on Friday that $12 million would be spent on the new building, though he admitted that not all of the funding had been secured. Prime Minister Hun Sen on Sunday confirmed the authenticity of a recorded telephone conversation with CNRP President Kem Sokha last year in which Mr. Sokha appears to distance himself from his partner at the time, former opposition leader Sam Rainsy. The prime minster yesterday boasted he was pulling the opposition’s strings after verifying as “one hundred percent” true a leaked phone conversation purporting to feature details of a back-channel deal with opposition leader Kem Sokha, as the latter attempted to negotiate his freedom from effective house arrest. The value of export products originating from Indonesia’s furniture and handicraft industry fell 16 percent year-on-year (y/y) to USD $1.6 billion in 2016 from USD $1.9 billion in the preceding year. The decline is attributed to the departure of several big furniture factories from Indonesia to Vietnam due to Indonesia’s high logistics costs, higher minimum wages and Indonesian workers’ low productivity. One example is America-based furniture manufacturer Maitland Smith. A controversial U-turn on mineral exports has sparked turmoil in Indonesia’s key mining sector, providing a fresh headache for firms struggling to work in Southeast Asia’s biggest economy. After striking gold with Chinese tourists, Ballarat’s iconic Sovereign Hill museum is turning its attention to Indonesia and its growing middle class. There is rising concern among business sources in Jakarta that tension between the Indonesian government and the US-based mining giant Freeport-McMoRan, Indonesia’s oldest foreign investor, which has been in a months-long deadlock over future mining, could affect relations between Washington and Jakarta. Australia’s trade minister, Steve Ciobo, has defended tough visa entry requirements for Indonesian students ahead of a high level visit to the country to complete an Australia-Indonesia trade deal. One of Indonesia’s top trade officials has questioned whether “artificial” trade barriers are preventing Australia importing more palm oil, pulp and paper and wood products as the two countries negotiate a free trade deal to be concluded this year. With less than a month remaining before the end of the tax amnesty, the government may need to accept the reality that it will miss its target for the flagship program amid slowing public participation. The government has called on domestic business players to invest in the Indian Ocean region to benefit from abundant untapped business opportunities as well as help boost exports.Investment Coordinating Board (BKPM) head Thomas Lembong expects businesspeople to work on potential partnerships with prospective counterparts during the Indian Ocean Rim Association (IORA) Business Forum on March 6. More than a thousand people participated in the Women’s March Jakarta on Saturday (04/03) to demand equality for women and minority groups. Global education company EduCo announced their newest partnership with Dublin City University and Maynooth University, both in Dublin, at Pullman Jakarta on Wednesday (01/03). Considering ongoing uncertainty about the future of the Trans Pacific Partnership (TPP) after US President vowed to exit this trade deal, Indonesia is eager to find other strategies to boost Indonesia’s export performance. As it is now more open to foreign capital, Saudi Arabia has invited Indonesia to invest in the Persian Gulf economy and benefit from its many untapped business opportunities. Hundreds of kebaya (Javanese long-sleeved blouses and dresses for women) enthusiasts have gathered at the “1,000 Perempuan Berkebaya” (1,000 Women in Kebayas) event held at the Education and Culture Ministry building in South Jakarta on Friday. The Jakarta administration, through its bus operator PT Transjakarta, added 20 more vehicles on Friday for transportation services for disabled people. The service is called Transjakarta Care. The National Police have arrested two people for allegedly monopolizing the red chili trade, which they said had contributed to skyrocketing chili prices across Indonesia. Floods have hit five districts in Riau Province, affecting 2,469 homes, as several rivers overflowed their banks following incessant downpour. Floods and landslides triggered by heavy rains in Limapuluh Kota district, West Sumatra province, have killed five people and injured two others seriously, the National Disaster Mitigation Board (BNPB) said. The Indonesian Formed Police Unit, or FPU VIII, returned to Indonesia on Sunday (05/03) morning after being detained at the Al Fashir Airport in Sudan since January for allegedly attempting to smuggle a large number of weapons and ammunition. Taipei, March 5 (CNA) A Taiwanese man suspected of drug dealing in Indonesia was shot dead by local authorities, the Ministry of Foreign Affairs confirmed Sunday. Indonesia will not back down from new rules requiring Freeport-McMoran to divest a majority stake in its local unit, Energy and Mineral Resources Minister Ignasius Jonan said, in a dispute over rights to the world’s second-biggest copper mine. President of the Karnataka Pradesh Mahila Congress Laxmi R. Hebbalkar has categorically denied the allegations of owning a mining company in Indonesia levelled by senior leaders and MLAs of the BJP, S. Suresh Kumar and C.T. Ravi, recently. “If they prove the charges, I will not only quit politics, but even gift the entire company to that party and their leaders Mr.Kumar and Mr.Ravi,” she said. President Jacob Zuma has arrived in Indonesia to attend the Summit of the Indian Ocean Rim Association Business Forum and Leaders’ Summit in the Asian state. After a three-month investigation, Riau Islands Police have named Makruf Maulana, head of the province’s Chamber of Commerce and Industry (Kadin), a defamation suspect for posting a meme that was perceived as insulting the police. YONG RUOBING, managing director of MCC Overseas, has cited seven main points which have drawn Chinese investment into the property sector in Malaysia. Texchem Resources Bhd plans to spend RM74mil for existing and new businesses this year to boost the company’s performance. Malaysia has arrested six foreigners and one Malaysian for suspected links to militant groups including Islamic State, the police chief said on Sunday. The government of Malaysia declared North Korea’s ambassador “persona non grata” on Saturday and gave him 48 hours to leave the country, a major break in diplomatic relations after the airport assassination of Kim Jong-nam, the half brother of North Korea’s leader. UEM Group Bhd, a key infrastructure company owned by Khazanah Nasional Bhd, is collaborating with Google Malaysia to stimulate the interests of secondary school students in science, technology, engineering and mathematics subjects through an initiative to encourage digital innovation. The ringgit opened lower against the US dollar as sentiment for the local note weakened on rising expectation that the US Federal Reserve will raise interest rates this month. Malaysia said on Saturday it was expelling the North Korean ambassador, escalating a diplomatic row between the two countries over the murder of the estranged half-brother of North Korean leader Kim Jong Un. Ri Jong Chol, a suspect in the murder of the estranged half-brother of North Korea’s leader, said in Beijing that he was a victim of a conspiracy by Malaysian authorities attempting to damage the honor of North Korea. Amid constant debate on the skewed proportion of women across the industry, including PE/VC, Malaysia’s Cradle Seed Ventures CEO Dzuleira Abu Bakar stands by the belief that it is always better to have diversity in an organisation. A North Korean suspect’s claims of facing coercion to confess while under Malaysian police custody is unlikely to affect the Kim Jong-nam murder case, lawyers have said. CIMB-Principal Asset Management Bhd has become the first asset management company in Malaysia to obtain the Renminbi Qualified Foreign Institutional Investor (RQFII) licence, which gives it direct access to China’s capital markets. Malaysia’s Parliament will reopen today, with the Najib administration set to push through a controversial Bill to strengthen Islamic courts, a move that will influence the country’s upcoming general election. Malaysia has declared on Saturday night the ambassador of North Korea to the country as “persona non grata” and asked him to leave Malaysia within 48 hours, amid a row over the investigation into a North Korean man’s death. Dr Win Myat Aye, minister for social welfare, relief and resettlement, says cooperation is needed for preventative measures to save lives in the Hpakant jade hub. THOUGH MYANMAR’S shrimp export is much less than that of Vietnam and Thailand in terms of tonnage and value, the nation is set to leapfrog its production with American experts’ technical assistance, said Kyaw Tun Myint, president of the Myanmar Shrimp Association. Maung Maung Win, deputy minister for planning and finance, says measures are being taken to cut the trade deficit without hampering trade policies. Singapore based Credera Group has got $50 million soft commitments for its $100 million Myanmar focused fund that it has been raising since August 2016, Gaurav Manghnani, senior portfolio manager of Credera Group, told this portal. The Myanmar government handed some ludicrous leaflets with rhetorical lines written in three languages — Myanmar, English and Bengali — to the Rohingyas during a meeting in Maungdaw on Saturday (Mar 4) tempting them to accept the NV Card (the National Verification Card). The ownership ratio between the government and the private sector in the electricity sector is 51:49, Dr Tun Naing, deputy minister for electricity and energy, told a forum at the Federation of Chambers of Commerce and Industry in Yangon. Myanmar has given approval for Total E&P Myanmar Co to hold a 50% stake in the Myanmar MD-7 project in which PTT Exploration and Production Plc (PTTEP) has the other 50%. The Rakhine State government will invite tenders for the construction of an airport in Mrauk-U, State Planning and Finance Minister Kyaw Aye Thein said. AS THE GOVERNMENT subsidy in the electricity sector amounted to Ks470 billion (Bt12.2 billion) last year, Myanmar plans to draw an effective action plan to undertake electricity reforms urgently. Myanmar has formed a high-level committee and task force to restart and speed up the Dawei Special Economic Zone (SEZ) project in the southern Tanintharyi region, which was suspended for years. ZIN KYEIK LABOUR CAMP, Mon State – Prisoners continue to conduct hard labour in shackles in a Mon State labour camp, Myanmar Now has found, despite calls for reforms by lawmakers and investigations into prison abuses by a UN rights envoy and the International Labour Organisation. SMOG FROM Myanmar has intensified the haze problem in northern Thailand, according to hotspot statistics from the Geo-Informatics and Space Technology Development Agency (GISTDA). Chief Minister Dr Le Le Maw for Tanintharyi Region says strict action is needed against illegal fishing off her coast. The army and Ta’ang National Liberation Army (TNLA) clashed near Mongyu village, northern Shan State, between Kutkai and Nant Phet Kar on March 4 and sources said three civilians were injured. With trade deficits every year, Myanmar has had a negative balance of payment in international trade since the 2012-13 fiscal year. Although the government claimed that they would be working hard during the current water shortage to ensure that everyone in the city still had access to clean water, it seems that they haven’t exactly kept their word. Fortunately for citizens however, local philanthropy groups have stepped up. More than a year after Myanmar’s National League for Democracy swept national elections in the formerly military-ruled country, bringing an end to government by generals or by army-backed civilians, security forces remain outside effective civilian control, the U.S. State Department said in a report released on Friday. Bangladesh is to ban the import of the cold-medicine component pseudoephedrine, a key ingredient in illicit methamphetamine production, anti-narcotics officials said, after purchases spiked in tandem with a boom in the illegal drug “ya ba”. The Philippines’ manufacturing revival will be in full swing this year as the Board of Investments (BOI) expects the share of manufacturing projects in the agency’s total approved investments to double. FACTORY OUTPUT likely remained robust in January, riding on strong global demand that helped keep manufacturing growth at double-digit pace, Moody’s Analytics said in a report. GROUPS plotting against President Rodrigo Duterte are busy recruiting officials in government to join a planned mass resignation as part of a bigger scheme to destabilize the administration, Sen. Alan Peter Cayetano claimed on Sunday. THE PHILIPPINES remained a “major” site for money laundering in 2016, the US State Department said in a report, citing last year’s $81-million cyber heist, an ongoing drug problem and a number of businesses that have been kept out of regulatory scrutiny. Investment banks are anticipating a shift in monetary policy by the Bangko Sentral ng Pilipinas (BSP) with the impending rate hike in the US this month. President Duterte made it clear from the very start: he is going to eradicate corruption, crime and criminality in his six years in office. CHINESE tourists helped power the 16.5-percent increase in visitor arrivals in the first month of 2017. A moderate earthquake of magnitude 5.9 hit the Philippines on Sunday, killing a woman and hurting 25 people, the Philippine seismic agency and a provincial governor said. In 2015, the Armed Forces of the Philippines and Department of National Defense prioritized the procurement of force protection equipment, radios, marksman rifles, and night fighting systems for the Philippine Army shelving the proposed acquisition of the PhP6.5 billion worth missile system. State-run National Transmission Corporation (TransCo) suffered gigantic losses of P26.07 billion in revenues on the P57.883 billion concession fees (CF) prepayment made by concessionaire National Grid Corporation of the Philippines (NGCP) back in 2013. The Philippines’ President Rodrigo Duterte is set to visit the UAE sometime around May. WITH THE government’s plan to base the economy more on technology and innovation, the Board of Investment will promote Thailand as the centre of subcontracting industries in Asean and in Asia as a whole, as many foreign investors look to expand businesses in this emerging region. FOREIGN MINISTER Don Pramudwinai yesterday said the US 2016 Country Reports on Human Rights Practices will not effect Thailand even though the annual report criticised the ruling junta for curbing rights and freedoms in the Kingdom. CONSUMERS are needlessly worried that a new excise bill will drive the prices of alcoholic beverages into the stratosphere, the Excise Department says. Japan’s emperor Akihito met Thailand’s new monarch on Sunday (Mar 5) during a brief visit to pay respects to his recently departed friend the late King Bhumibol Adulyadej. The Excise Department may use retail tag prices at modern trade and convenience stores as the recommended prices for consumer goods, says a Finance Ministry source. B.C.’s revitalized videogame industry is attracting the attention of some unusual players — specifically Thailand, whose companies are exploring ways to draw local companies to open up shop across the Pacific. DHL eCommerce, a division of the logistics company, Deutsche Post DHL Group, is capitalising on the booming Thai e-commerce market expected to more than triple in size to 3.6 billion euro between now and 2020 by enhancing its nationwide coverage with next day delivery in remote areas and extending pick-up service to small e-commerce merchants to meet its growing customer demands. Thailand is in urgent need of a defining roadmap for telecommunications spectrum in preparation for the deluge of data expected to arise from Thailand 4.0. Thai Airways International (THAI) is planning to improve its ticketing system, to help website and mobile users, following customer complaints about its outdated platform. The agriculture and rural development sector witnessed a year-on-year increase of 1.4 per cent in export value of agricultural, forestry and fishery products to US$4.3 billion in the first two months of 2017. The value of export products originating from Indonesia’s furniture and handicraft industry fell 16 percent year-on-year (y/y) to USD $1.6 billion in 2016 from USD $1.9 billion in the preceding year. The geopolitical situation in the Asia-Pacific region is undergoing perceptible changes and as a result nations posited in the region are constantly reorienting their foreign policy strategies in response to the changed situation. The Government Inspectorate of Viet Nam has revealed that mismanagement in tax collection between 2012 and 2014 caused mounting arrears and losses of trillions of dong to the State exchequer. All districts and communes in the capital city of Hà Nội will start campaigns this week to control the pervasive encroachment of cafes, beer joints and cars on sidewalks, Chairman of the municipal People’s Committee Nguyễn Đức Chung announced. The Ministry of Industry and Trade (MoIT) will inspect adherence to inorganic fertiliser production regulations at production and processing enterprises. As China reported cases of bird flu infection including death and the disease is highly likely to enter Vietnam, the Ministry of Health yesterday strongly pushed up the fight against the disease. Winning consumers’ trust and developing a business reputation is one of the major challenges toward online business development, experts said at the Viet Nam Online Business Forum – VOBF 2017 in HCM City oon Friday. Vietnam holds the potential to export numerous quality agricultural products to Canada, Canadian Minister of Agriculture and Agri-Food Lawrence Macaulay affirmed in Ho Chi Minh City on Friday. The Prime Minister recently ratified a project to stimulate non-cash transactions in 2016-20 with a view to reducing the cash transactions rate to under 10 per cent. In an interview with Sputnik Vietnam, Trung Quang Khánh, a retired Colonel-General of the Vietnamese army, who earlier this week was awarded by President Putin, has praised Russian-Vietnamese military cooperation. A list of the best and worst regulations of 2016 compiled by the Việt Nam Chamber of Commerce and Industry (VCCI) has been received by concerned ministries with varying degrees of acknowledgement and skepticism. Emperor Akihito and Empress Michiko concluded their first ever six-day State visit to Việt Nam yesterday after visiting several monuments restored with Japanese assistance in Huế City. A high-ranking delegation from the Lao National Assembly (NA) led by its Chairwoman Pany Yathotou will pay an official visit to Vietnam from March 5-10. Starting March 10, a number of public administration offices in the capital city will work on Saturday mornings. Health authorities in Hanoi have urged an investigation into a locally-brewed spirit containing high levels of methanol which have caused a rash of poisoning cases. An agreement to enhance trade linkages and foster sustainable, inclusive and innovative growth marked a positive wrap-up to the first Senior Officials’ Meeting (SOM 1) and other related APEC meetings on Friday. It is fairly common that women are forbidden from going near shrimp farms in several southern provinces because they are believed to bring bad luck. HCMC Youth Employment Service Center on Saturday connected job seekers with 70 businesses who are in demand of recruiting 10,000 employees comprising Japanese interpreters, quality management staff, designers, accountants, storekeepers, store chiefs and export laborers to Japan. The Vietnamese Businesses’ Association (VBA) in Russia on Sunday hosted a seminar in Moscow to discuss ways to promote economic and trade ties between Vietnam and Russia and with the Eurasian Economic Union (EAEU), Vietnam News Agency (VNA) reported.